3/21/19 – Ashland University’s Master of Arts with a specialization in teaching American History and Government has been recognized as the 14th best program in the country by OnlineMasters.com in its ranking of Top Master’s in Social Studies Programs for 2019. 3/12/19 – Ashland University’s Doctor of Nursing Practice (DNP) degree program has been ranked as one of the best programs in the country in the prestigious U.S. News and World Report’s 2020 list of Best Graduate Schools. 3/11/19 – Ashland University’s Master’s Program in Applied Exercise Science has again been listed as one of the best online Master's in Sports Medicine degree programs in the nation, this time by Online Masters. 3/4/19 – Ashland University’s Social Work program has been recognized by the Human Services Education Organization as being one of the two most affordable private social work programs in the state of Ohio. 2/28/19 ASHLAND, Ohio – Ashland, Ohio, home of Ashland University, has been listed as the second most affordable conservative college town in the nation as ranked by College Values Online (CVO). 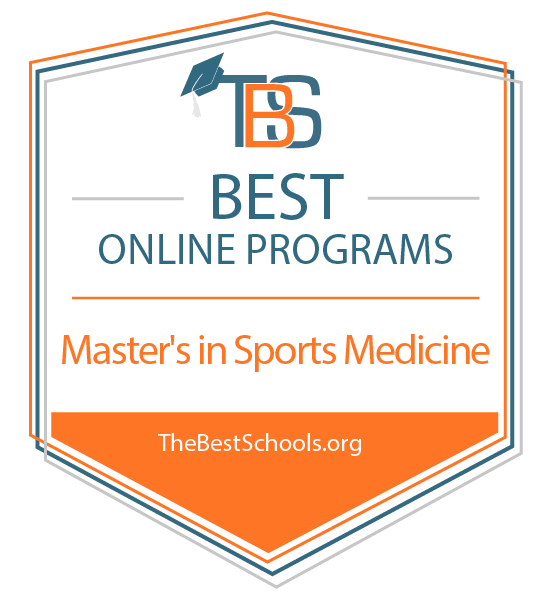 2/26/19 – Ashland University’s Master’s Program in Sports Medicine (Applied Exercise Science) is featured as one of the best online Master's in Sports Medicine degree programs in the nation by TheBestSchools.org. 1/15/19 – Three of Ashland University’s online programs were recognized with high rankings in the prestigious U.S. News and World Report lists for Best Online Programs for 2019. AU’s Master of Business Administration (MBA) Online Program was ranked as the best private online program in Ohio as well as the 101st ranked program overall nationally among Best Online MBA Programs, while AU’s Online Bachelor’s Programs were rated as the third best private online programs in Ohio and the 173rd ranked programs overall nationally among Best Online Bachelor’s Programs. In addition, AU’s online Graduate Education Program was ranked as the 169th best Online Graduate Education Program in the nation. 1/31/19 – Ashland University’s accredited degree program in accounting has been ranked as the second best program in Ohio and ranked as a “Best Value for the Money” program in the annual nationwide ranking of U.S. colleges and universities by College Factual. In addition, the Ashland University accounting program was ranked as the 41st program out of the 601 ranked programs at colleges and universities nationwide. 1/30/19 – Graduates from two separate programs in Ashland University’s Dwight Schar College of Nursing and Health Sciences have scored outstanding pass rates on their licensing (NCLEX-RN) and certification (FNP) exams. Graduates of the College’s pre-licensure nursing programs have a 95 percent first attempt pass rate on the National Council Licensure Examination-Registered Nurses (NCLEX-RN) for 2018 as reported by the Ohio Board of Nursing, while graduates of the Bachelor of Science in Nursing (BSN) to Doctor of Nursing Practice (DNP) program have a 100 percent first attempt pass rate on the Family Nurse Practitioner (FNP) Certification Examination for 2018 as reported by the American Academy of Nurse Practitioners Certification Board. 2018 Rankings – Ashland University is once again ranked in the top tier of colleges and universities in the National Universities category of the recently released 2018 college rankings by U.S. News and World Report. The National Universities classification is restricted to universities offering doctoral programs and involved in research. 8/21/18 ASHLAND, Ohio – Ashland, Ohio -- home of Ashland University -- has been ranked as the 30th safest college town in the country by Safewise, a company that reviews home security systems and lists its mission as helping to keep homes and communities safe. To identify the safest college towns of 2018, Safewise looked at the most recent FBI crime report for each city that met its criteria. The rankings were then compiled based on the incident of violent crime per capita. Ashland University’s Student Chapter of the Institute of Management Accountants (IMA) has earned the highest award for a student chapter – being named to receive the Award of Excellence for Outstanding Student Chapters at the 2018 Student and Academic Awards Luncheon to be held in November. Mullen and students will receive the award -- a trophy and cash award of $1,000 for the Chapter -- at the Student Leadership Conference that will be held in November in St. Louis. 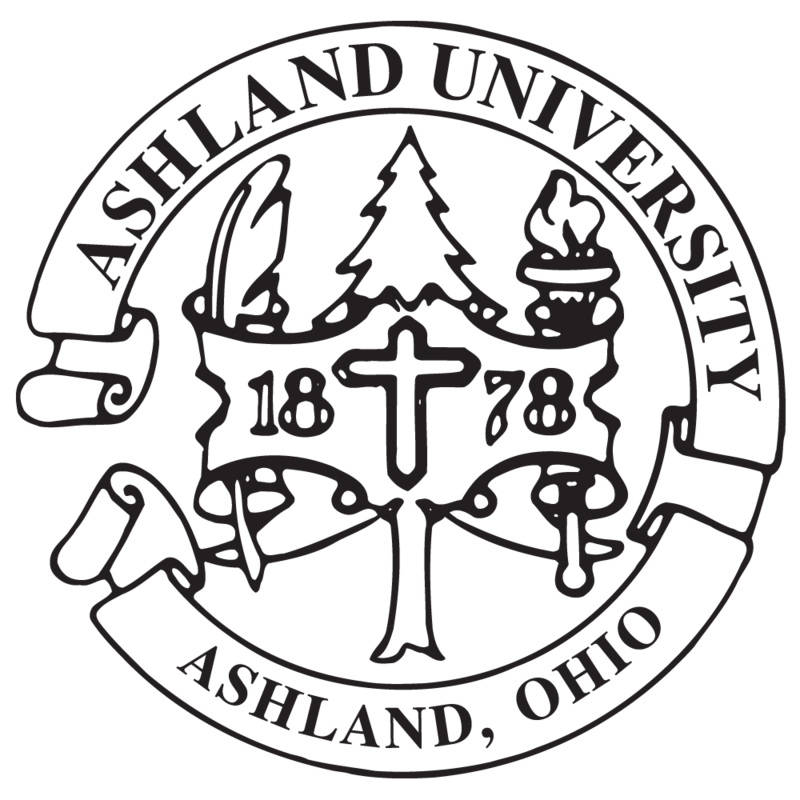 8/17/18 ASHLAND, Ohio – Ashland University is ranked as the fourth best college or university in Ohio for its online education program. The 2018 ranking, listed by BestColleges.com, noted that Ashland "stands out as one of the best of the best in Ohio." Ashland is listed No. 4 in the state behind top-ranked University of Cincinnati, Ohio State University and Ohio University. 1/9/18 ASHLAND, Ohio – Two of Ashland University’s online programs were recognized with high rankings in the prestigious U.S. News and World Report lists for Best Online Programs for 2018. AU’s Master of Business Administration (MBA) Online Program was ranked as the second best online private program in Ohio and 131st ranked program nationally among the Best Online MBA Programs, while AU’s Online Bachelor’s Program was rated as the second best online private program in Ohio and the 153rd ranked program nationally among the Best Online Bachelor’s Programs. 7/19/18 ASHLAND, Ohio – Ashland University is the sixth best university in the country in which to pursue esports, according to Value Gamers, a website designed for those in the gaming industry. On June 30, 2018, Value Gamers printed an analysis article that ranked the country’s top four-year universities with esports programs – evaluating them on seven crucial factors, including academics, campus, food quality, professors, location, nightlife and value. 7/11/18 ASHLAND, Ohio - Ashland University’s Online MBA Program (https://www.ashlandonlinemba.com/) has been ranked as the seventh best program in the state of Ohio by Online MBA Today. “Online MBA Today is committed to connecting prospective online MBA students to high quality educational opportunities, and we are excited to highlight the Ashland University program,” said Tammie Cagle, editor of Online MBA Today. 7/10/18 ASHLAND, Ohio – Already honored as a College of Distinction for its personal approach to education, Ashland University has now received program-specific recognition in business, education and nursing. 6/28/18 ASHLAND, Ohio – Ashland University’s online RN to BSN nursing program has been ranked as one of the top programs in the country by Best College Reviews. The Best College Reviews ranking, which was created using the National Center for Education Statistics' College Navigator database, ranks the top 50 online Registered Nurse (RN) to Bachelor of Science in Nursing (BSN) programs. 6/14/18 ASHLAND, Ohio -- The final 2017-18 NCAA Division II Learfield Directors' Cup standings are in, and Ashland University's athletic department finished the most recent athletic season at No. 12 in the nation – a 22-spot improvement over 2016-17 (34th). It is the Eagles' best national finish in the Directors' Cup since ending as the D-II runner-up in 2014-15. 6/19/18 WASHINGTON – The Council for the Accreditation of Educator Preparation (CAEP) announced Monday that Ashland University has received accreditation for its educator preparation program following the spring 2018 review by the CAEP Accreditation Council. “Our teacher education program has a great reputation as being one of the strongest education programs in the state of Ohio and this stamp of approval by CAEP confirms that fact,” said Dr. Donna Breault, dean of AU’s Schar College of Education. 4/23/18 ASHLAND, Ohio – Site Selection magazine has ranked the city of Ashland, Ohio, in the Top 10 among 575 small cities across the country in its 2017 Governor’s Cup rankings. That means Ashland made an impact in 2017 by attracting new corporate projects with significant jobs and capital investment. The city of Ashland, Ohio, was tied for seventh on this 2017 Top Micropolitan list with eight new corporate projects with significant jobs and capital investment. 2/28/18 ASHLAND, Ohio – Ashland University’s online Associate in Criminal Justice Degree Program has been named one of the Top 10 programs in the country by OnlineSchoolsCenter.com. Ashland’s program was ranked as the 10th best in the nation. 11/29/17 ASHLAND, Ohio – Ashland University’s online Bachelor’s in Criminal Justice program has been named as one of the 30 most affordable online Bachelor’s in Criminal Justice programs among private colleges and universities for 2018 as ranked by Best Degree Programs. The Ashland University program was ranked 17th in the country. Ashland University Online Program Ranks as One of the Best in U.S.
11/15/17 ASHLAND, Ohio – Ashland University's Online Associate’s in Business Administration degree program has been named by Best College Reviews as one of the top online associate’s degree programs in business in the country. Ashland University’s program, which was ranked 16th in the country, was chosen for its focus on the working student. 7/7/17 ASHLAND, Ohio – Ashland University has been ranked as one of the 25 Best Colleges in Ohio based on a new ranking released by College Choice. College Choice is an independent online publication dedicated to helping students and their families find the right college by publishing rankings and reviews that make choosing the best college easier, as well as resources to help students get into, pay for and thrive at the college of their choice. 3/28/17 ASHLAND, Ohio – For the second time in three years, 100 percent of Ashland University’s social work graduates who took the Association of Social Work Board exam passed the exam on their first attempt. Over the last three years, the passing rate for Ashland University graduates has been 97 percent. Ashland University continues to be listed each year in Washington Monthly's “Best Bang for the Buck” ranking of colleges in the National Universities category. Ashland University’s home, Ashland, Ohio, was listed as the eighth most affordable college town in the United States as ranked by Great Value Colleges website. Great Value Colleges ranked the top 50 Great Affordable College Towns in the U.S. and Ashland placed eighth with a cost of living index of 88.5 and an average cost of a one-bedroom apartment at $515. Ashland University’s student dining service is recognized as one of the best in the nation as it has captured the first place award 10 times in the standard menu competition of the National Association of College and University Food Services (NACUFS). Ashland University was named as one of the top schools in Ohio for the greatest lifetime return on investment by AffordableCollegesOnline.org. Ashland University’s Campus Activities Board (CAB) has been recognized for the quality of the student entertainment it offers on campus as it has received the top Programming Organization of the Year award through the National Association for Campus Activities (NACA) Mid-America Regional Conference a total of 10 times. Ashland University was ranked by Forbes Magazine as one of the top research universities in the country and as the No. 156 ranked college in the Midwest.